NutraBio Intra Blast at Bodybuilding.com - Best Prices on Intra Blast! GAME OVER. INTRA BLAST DOMINATES ALL OTHER INTRA-WORKOUT AMINOS. when it comes to intra-workouts. Instead of copying everyone else and creating a branch chain amino acid (BCAA) product with some under-dosed "bells and whistles," we created an essential amino acid (EAA) powerhouse. Ironically, this revolutionary formula is loaded with more BCAAs than most of the competition, too! INTRA Blast - without question - is the most advanced intra-workout amino acid product ever created. Every ingredient has an incredible dose that may help accelerate your recovery and fuel your performance. * Take a look at any competitor on the market, and you'll see that they fall short in some area of their formulation. We recognized this and decided to put your recovery and performance first. What we've come up with is a highly advanced formulation built specifically for the performance and recovery needs of any serious athlete. You TRAIN WITHOUT COMPROMISE, and we've put every ounce of effort into creating INTRA BLAST WITHOUT COMPROMISE. BCAAs are actually EAAs, but there are other critical amino acids to consider besides BCAAs when it comes to repair and growth. * The reason EAAs are considered "essential" is because your body can't synthesize them. Unfortunately, most companies don't use the full EAA spectrum because they are hard to flavor and very expensive compared to just BCAAs. 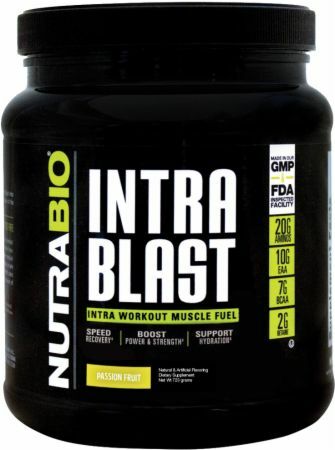 At NutraBio, we don't shy away from challenges, which is why we chose to take on this difficult formulation task to combine the best of both worlds in creating INTRA BLAST. Here's an in-depth look at how the formulation works. Our BCAAs come from plant sources (fermented) as opposed to animal keratin sources (chemical extraction) such as feathers, hair, etc. Our OKG is fully reacted, which means it is positively bonded. 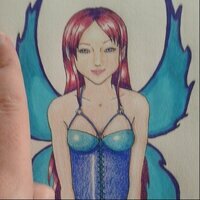 It is in the exact same form that the positive research studies were based on. Exercise can deplete magnesium, and it's extremely important to replace these losses attributed to intense exercise. The product itself is a nice fluffy powder, not like the crack crystal drink. BUT i do not even know if it works because the flavor was AWFUL. Orange Mango was the most disgusting thing, I took one sip and dumped it out. 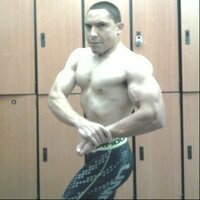 I have never done that with any product before and I have been lifting for 10 years. It smelled funny and i thought to myself, 'ok its just a new product', but i took one sip and EW. 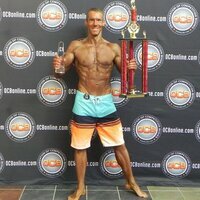 Bodybuilding.com helped me resolve this SUPER easily, thank goodness!! Tried a sample of this (New DragonFruit Candy Flavor). Here are my thoughts: Mixability - 10/10 Mixed completely in shaker bottle with no residue. Mixed with about 24 oz (wanted more to last through the workout). But I've used other NutraBio products and mixed with 12 oz and same thing, no residue. Taste - 8/10 The flavor was a little tart. I actually refer sweeter flavor (I have a sweet tooth), so I wish there was more sweetness from the "candy" side. But, overall it wasn't bad. The one disclaimer I will say is obviously the amount of water will impact the overall taste. I wanted to have as much through my workout as possible, so I mixed the 1 serving with 24 oz of water. The taste would be stronger if I used less water, but I wanted to spread it out. Effectiveness - 10/10 Maybe its because I haven't used supps in such a long time (about a year and a half), but I felt pretty good during this workout. I tried to push it hard to see. I did supersets in all my sets, and I also did very high volume. Not a lot of rest in between sets. Total workout time was 53 minutes of weights and then I did 45 minutes of cardio (steady state elliptical). Overall, I pushed it hard and got through the workout. Enjoyed this and will use again in the future, and also recommend. I was given the opportunity to try NutraBio's IntraBlast in their new flavor, dragon fruit candy, as well as their preworkout in the same flavor. The flavor was good for both, but I liked it much better as a preworkout. I can't drink anything too heavily flavored during a workout, so I usually dilute intraworkouts quite a bit. I could only use half of a serving, as my shaker only holds 25oz of water, and even with just half it could have been a bit weaker. My workouts aren't long enough to drink the amount of fluid I'd need to mix the whole serving. However, the flavor itself is still really great, sweet, tangy, a hint of tropical but far from overdone. If you don't mind a stronger intra, I'd recommend trying it, just be aware that my recommendation comes off the basis of mixing it weak. Flavor aside, the profile for this product rocks. Fully transparent labeling, you know exactly what you're getting here, 10g of BCAAs and EAAs, as well as 5g of glutamine for muscle recovery, and electrolytes to keep you hydrated. My workout last week was hindered from a bad cold, after yesterday's session I expected to be significantly more sore, so I'd like to think this helped quite a bit. I was a bit dubious after trying Pre, which despite of the impressive label just did not work for me, but I was pleasantly surprised. During my workout session (boot camp style warm ups, aggression drills, bag rounds) I sweat a lot and burn tons of calories too, so any intra workout which helps me to keep up intensity, assists with hydration and eliminates cramps works for me. I used InKage before (as I love KM's PWO), but I wanted to cut back on caffeinated drinks outside my pwo, so this one had a great profile, mixes well, not overly sweet and drinkability is important. (Having said that whenever I feel something overly sweet few drops of lemon/lime can help to make it tangier and some extra Vitamin C won't hurt, right?). This stuff smells horrible and it tastes even worse. I didn’t care for this product at all.. It tasted like I was drinking green apple plastic and got me extremely nauseous. At first I thought it was my shaker so I then put it in a plain water bottle and had the same taste results. Threw it away after 2 uses. I was Very disappointed. this review is for the Intra Blast NATURAL version. Intra Blast is fully dosed with ingredients that are scientifically proven to be effective. another super nice touch is that the formulations are totally transparent and fully disclosed. theres not a hint of any kind of prop blend that can hide all kinds of undesirable things and fillers. i wasnt a huge fan of the Sweet Tea flavor of Intra Blast....it just didnt sit right on my taste buds. for me, that was the only thing about Intra Blast that wasnt exceptional! like PRE the formulation of Intra Blast is absolutely cutting edge and effective. performance, energy and recovery are all amplifyed by the scientifically proven and transparent ingredient list. the 20 grams of Aminos contain both BCAAs and EAAs which are only found in the best products on the market. when sipped during training i can honestly see why they say that when using Intra Blast you "Start Recovering Before You Finish Your First Set"
This review is for the Natural series Intra Blast in sweet tea I recently tried. My gym time is usually 1.5 to 2 hrs so I really like to stay hydrated. I have long, grueling sessions and I like an intra to keep me going. I can say that Nutrabio's Natural Intra kept me from being thirsty every time I used it; which tells me I was completely hydrated. Not many other products have done that. And the best part is Nutrabio did this with a completely natural, honestly labeled product. They disclose everything; nothing hidded and nothing proprietary. Which means you know exactly what you are putting in your body; which you should. After trying this product, I looked over their website and saw they do a complete line of honest, accurate bodybuilding supps. Solid *** Company righ there!! 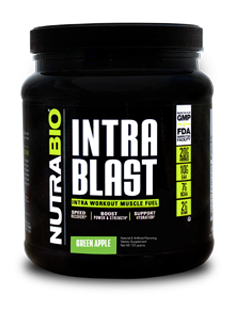 ***this review is for the Naturals version of Intra Blast. i really liked the Sweet Tea flavoring! i mixed my servings with about 20 ounces of cold water and sipped it throughout my workout. the little dark spots that settled to the bottom kind of freaked me out till i read it was the cane sugar used in the Natural process,,,,nice! unlike alot of Amino products, Natural Intra Blast contains sooo much more than BCAAs. try adding electrolytes, EAAs, glutamine and betaine anhydrous in clinically proven dosages and you have just some of the elements of the formulation. again, NO artificial dyes, flavors or sweeteners are to be found anywhere. loved the enhanced performance, hydration and recovery that Intra Blast provides....theres no doubt that this is a product of the highest quality. IntraBlast is loaded with 7.4g BCAA's plus 5g Glutamine, 2g Betaine, and Electrolytes. Need I say more? Taste: Sweet tea flavor has a strong following in the forms on here so I was anxious to try it, even though I'm not a sweet tea person. Well, from what I remember sweet tea tasting like, this is dead on. However, I'm just not a fan of this flavor at all. Sweet tea, to me, goes with BBQ and grilling on a hot day. The last place I expect to taste this flavor is luke warm in a shaker glass as I'm thirsty and depleted of energy. It just doesn't match. Now, if you ice this stuff down and sip it at home on of days or evenings, then I can understand. This, of course, is all user preference and I think it's cool that NutraBio came out with a flavor I've not seen anyplace else and do it naturally. Mixability: This is exceptional. Complete and absolute solubility in a matter of minutes. I mean, NOTHING left but tea colored water. Outstanding!! Performance: Wow, this product hydrates like a beast and definitely helps with longevity and recovery. 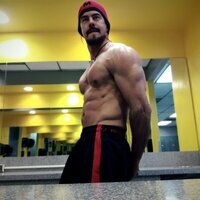 I could tell an improvement from other intra workouts I've had. Those extra BCAA's really do help. Another fantastic supplement with all the great benefits of a very well formulated intra workout. The sweet tea flavor is just that plain and simple. If you like to drink cold sweet tea during the day then this flavor is for you... Is been many years since I don't do sweet tea and after using Intra Blast, all my memories came back. I like how refreshing Intra Blast is after drinking it. It overhaul your system and prime you up to continues your workout. I'll give it a 10 out of 10 for it's effectiveness. Love this product from top to bottom as this is probably the most complete intra-workout formula I have ever seen. I used the Natural version which I liked a lot as it didn't have any artificial colors, dyes and uses stevia as a sweetener. When I drank this during my gym sessions, I was definitely training harder and longer. 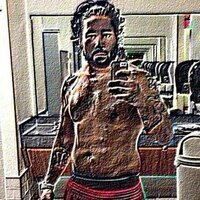 This made a huge difference in how well I performed in the gym. I had the Natural version of the Sweet Tea Intra Blast and wow was I ever impressed with the taste. The product formula speaks for itself as it has all the bells & whistles you could hope for with an intra-workout product. The natural version was intriguing to me as an alternative option and it certainly didn't disappoint with taste & effectiveness. Directions For Intra Blast: As a dietary supplement, mix one scoop of Intra Blast into 12-16 ounces of cold water and sip throughout each training session of the day. Vary the amount of water to achieve your desired flavor. Warnings: KEEP OUT OF REACH OF CHILDREN. This product is only intended to be consumed by healthy adults 18 years of age or older. Do not use if you are pregnant, breast feeding, have known medical conditions (including but not limited to kidney, heart or liver disease) or are taking prescription or OTC medication(s). Consult with your health care practitioner before using this product. Do not use as a sole source of nutrition for weight loss or maintenance.